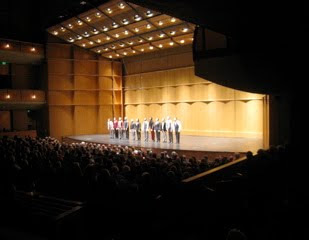 An almost capacity audience enjoyed the show a lot! 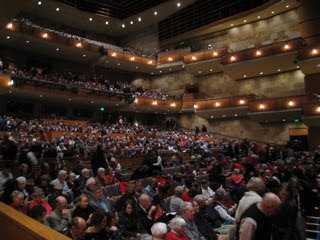 The Mondavi Center is a great place to come to a concert and we love to see our audiences so comfortable, with such lovely lobbies for intermission drinks and CD purchasing and such magnificent bathrooms! The latter have a positive impact on the number of CD's we sell at Davis, we firmly believe!